So this was the rest of my productive day yesterday. I also count being productive as posting one blog post. >_> Maybe others are more productive. 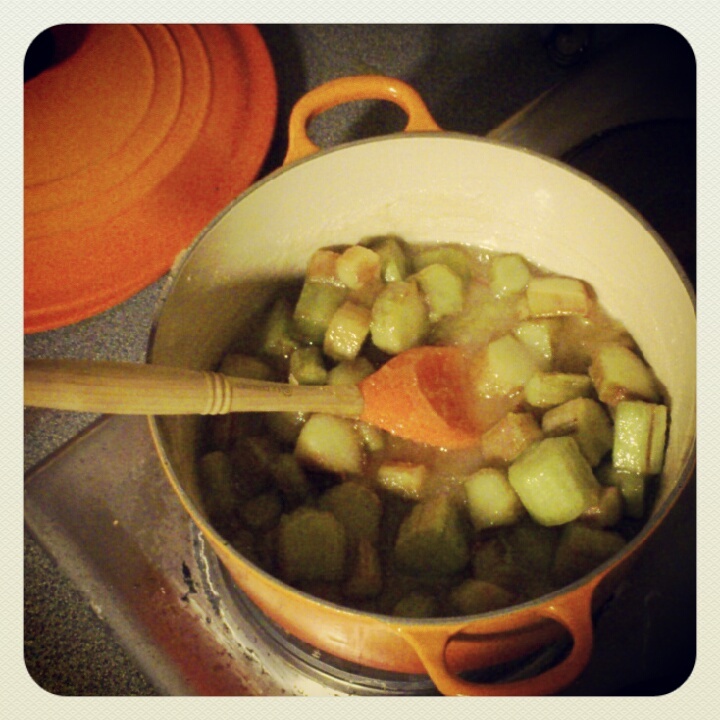 I have about 700g of rhubarb left over from a salad I made for the last supper. It was going on the soft side so it was decided it'd be a jam. 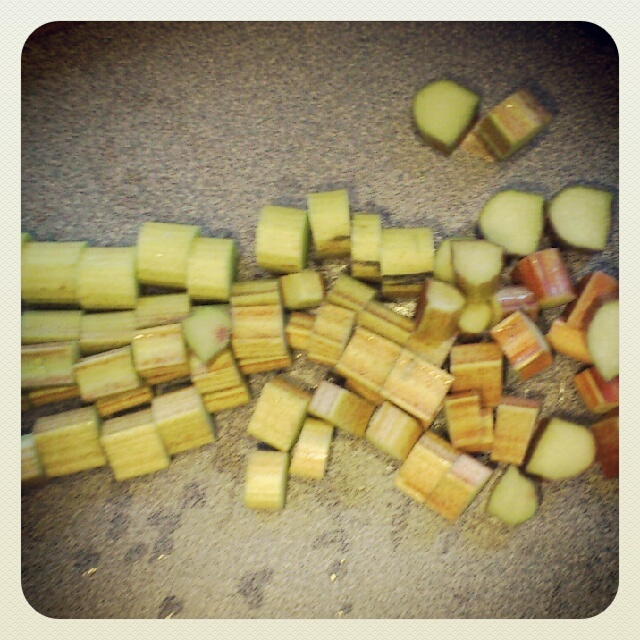 Wash and chop the rhubarb. Place in a large bowl with lime juice and chopped ginger. 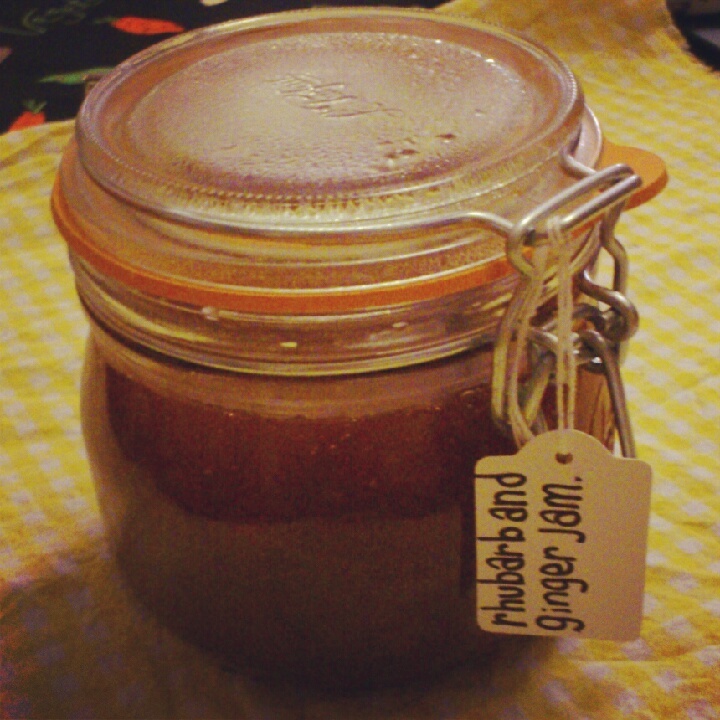 Cover in jam sugar. You need jam sugar for this recipe because rhubarb has little to no pectin. 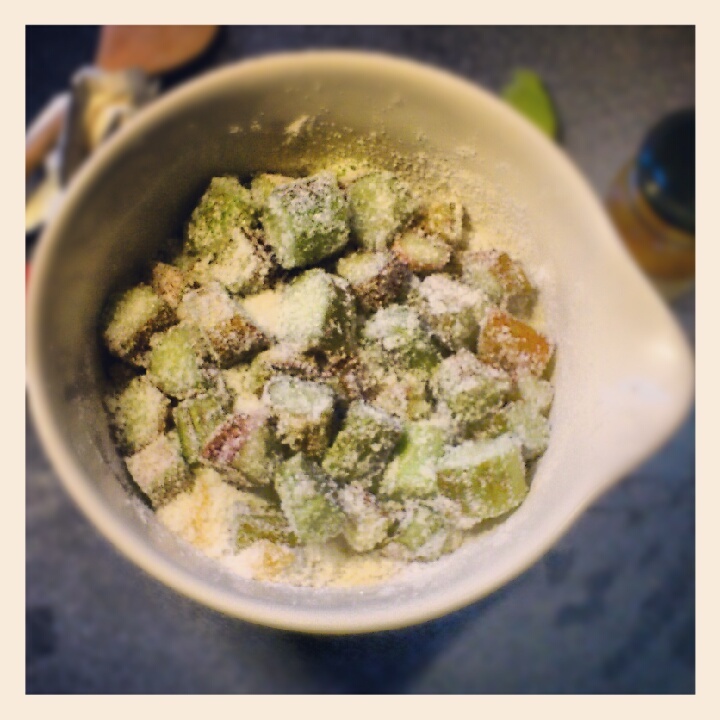 Coat all the rhubarb with the sugar, cover. Leave for 2 hours, during that time pop back every now and then and give it a shake. Place a saucer in the freezer at the beginning of the cooking down process, when the jam has been boiling for a while take half a teaspoon of the mixture out and place on the saucer. Give it 30 seconds and you'll see if it jams. If not keep heating.....actually put 2 saucers in the freezer. 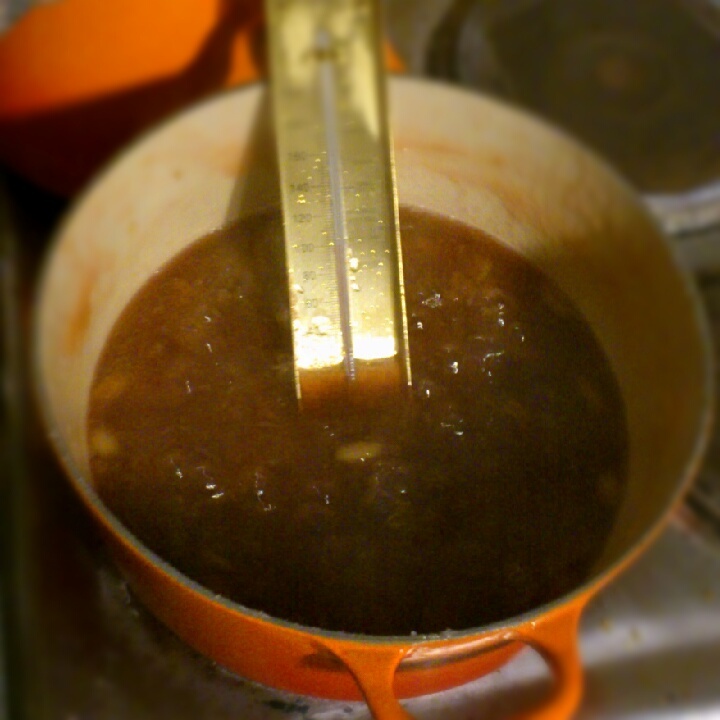 Once it has gotten to the point of jam pour the mixture carefully into sterilised jars. Label. Let it cool. Then eat the next morning with the granola you also made while being productive!